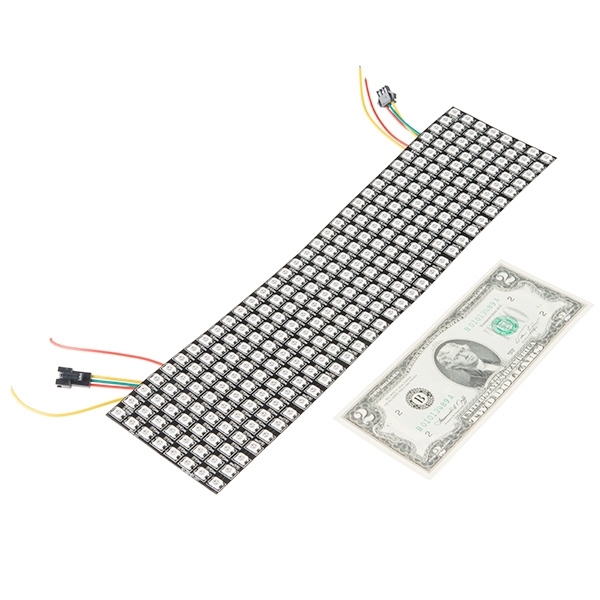 This large 8x32 pixel WS2812B flexible LED matrix is a great way to add an impressive amount of color while still being able to individually control each LED. 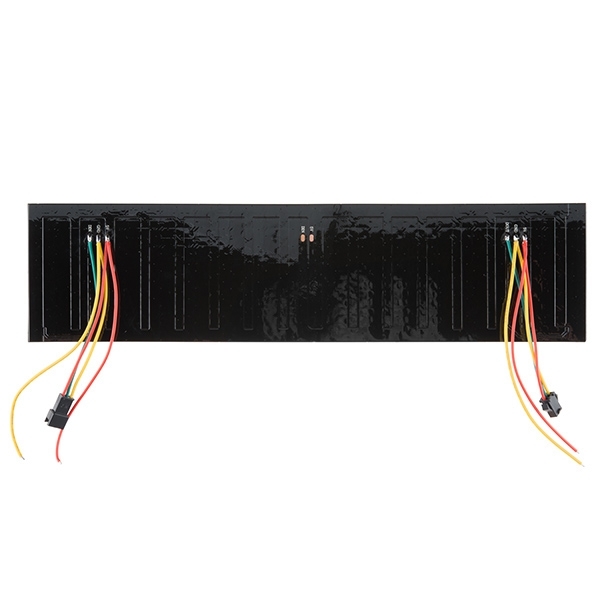 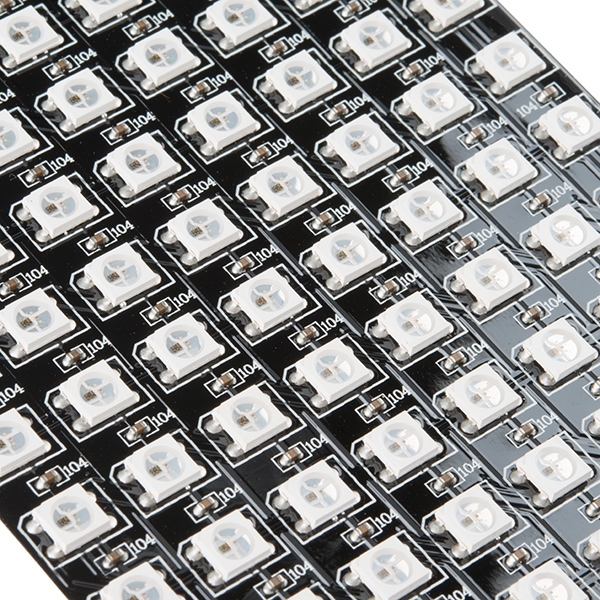 We aren’t kidding around, that’s 256 individually addressable LEDs on a 320mm x 90mm flexible panel. 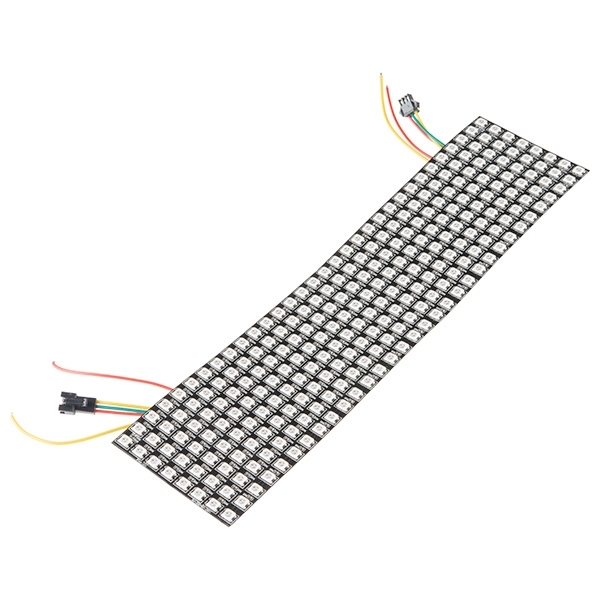 You can create animations, games, or even incorporate them into a fun e-textiles project. 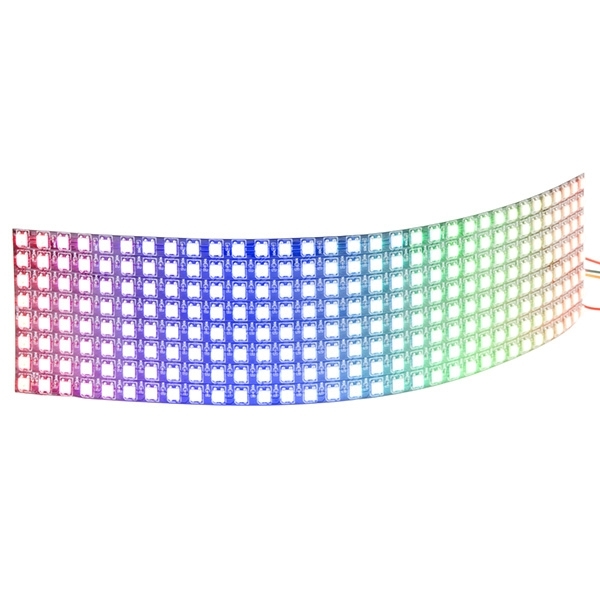 On top of all that, thanks to its flexible backing, this LED Matrix can be bent and bowed to fit onto almost any curvy surface.